Pets often play a large role in our lives, so much so that they feel like another member of the family. 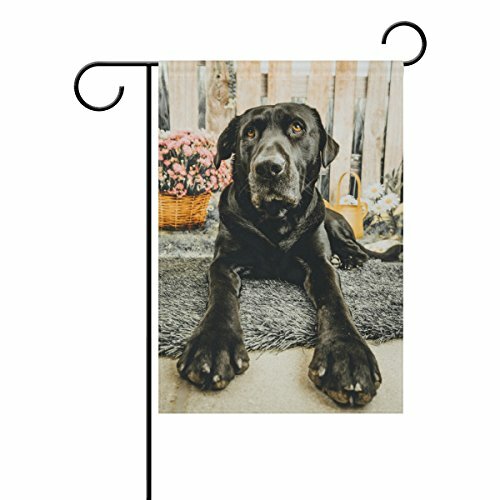 If your adorable Black Lab brings you joy, then you'll want a personalized pet gift like this garden flag to honor them! Each garden flag is made of 100% polyester so it will be able to endure all weather conditions. 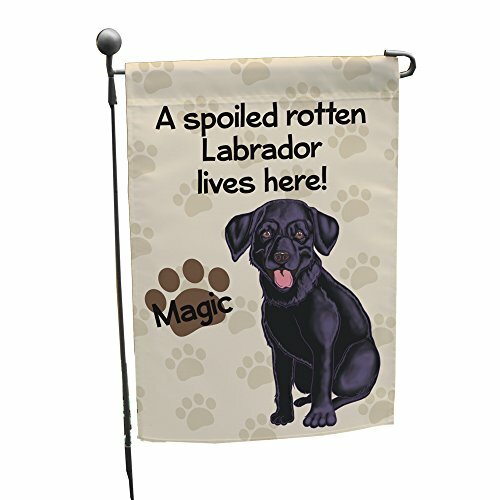 Our custom garden flag has an adorable cartoon black lab design printed on both sides along with the phrase A Spoiled Rotten Labrador Lives Here. 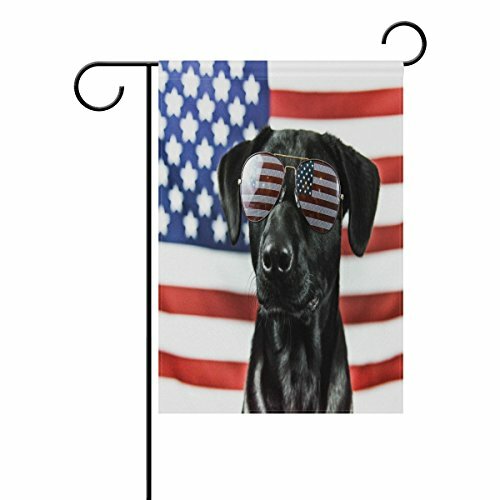 We will also personalize this custom garden flag with your dog's name in the paw print located on the bottom left at no additional cost. 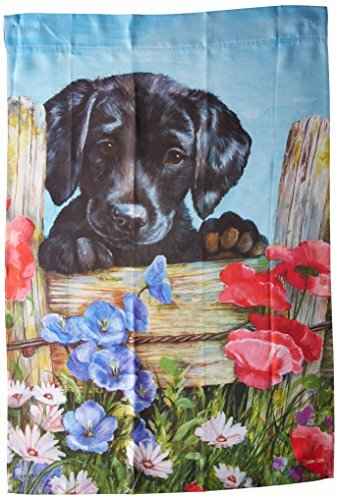 Measuring 12.5" by 18", this garden flag looks great hanging in front of any house. With a open slit on the top, this flag will fit well in any pole or hanger. 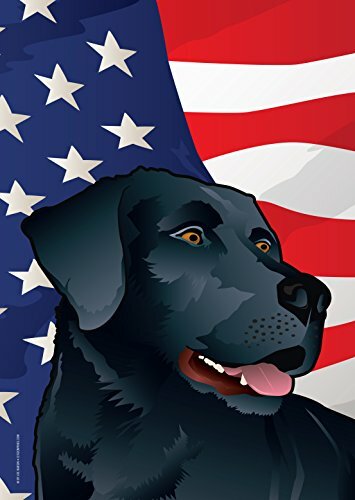 This makes the perfect gift for black lab owners everywhere, especially to welcome their brand new pet home. 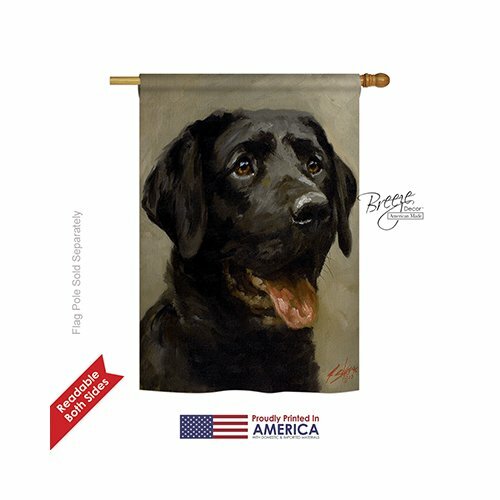 This vibrant quality house flag is a tribute to one of the great bird dogs, the Labrador Retriever continues to be the most popular breed in America. This versatile breed has had a long tradition with water fowl hunting. 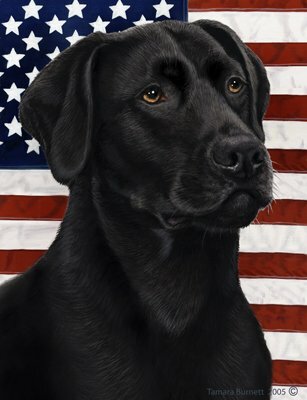 The Black Labs aptitude to please his master is legendary. The use of the USA flag provide context for this special place. 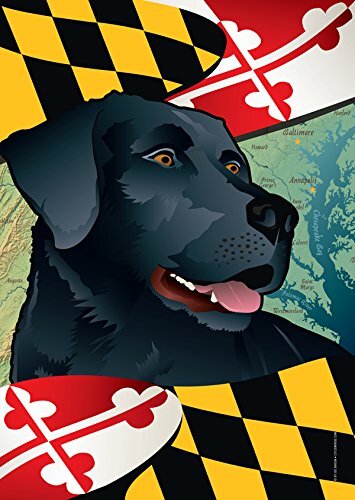 This flag, illustrated by Joe Barsin of Annapolis, MD, makes for a great addition to the front door, porch, dock or boat. Printed in USA. Size: 12x18 (in) 28x40 (in) Decorative flags used mainly in courtyards, gardens, and flowerpots. Printing technology: the use of thermal transfer technology to prevent discoloration, lasting effect. High cost performance Good expressive force Can be used for a long time Professional personality DIY printing design, customized personalized and easy to match the way. 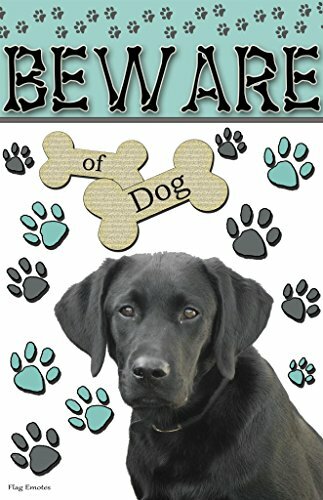 This Flag Emotes Double Sided Funny Garden Flag features a cute Black Lab and reads "Beware Of Dog". The 18" x 12" flag is made of high quality fabric that has excellent drape and movement and can be read from both sides. Material:100% high quality polyester fiber. Design:The most prominent feature of our product is customized. Features:Firm, durable, wearable, anti-wrinkle. Print Technology: Using exquisite double-sided printing technology, long-lasting effects. Multifunction: 1. Customized images from regular website, funny, fashion and unique. 2. Stylish garden flag design are the greeting card of your home, can reveal your personal taste and highlight the yard and garden decoration. 3. Welcome guests to your home or garden with this seasonal flag. 4. It also will be a best choice to give this item as a gift at festival time, parties, housewarmings and birthdays.